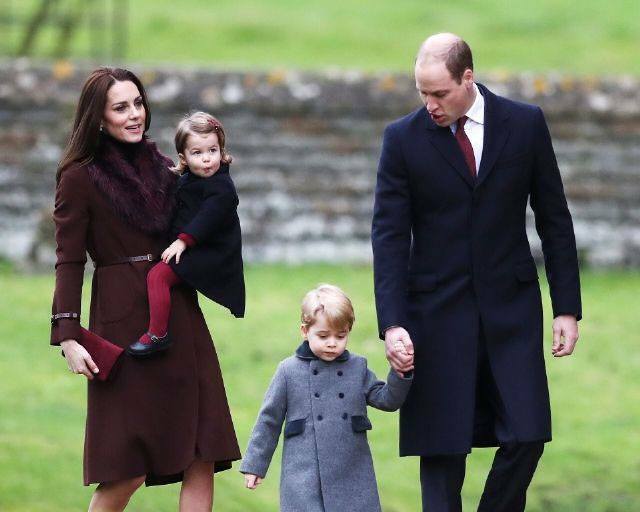 Princess Charlotte will be a bridesmaid! 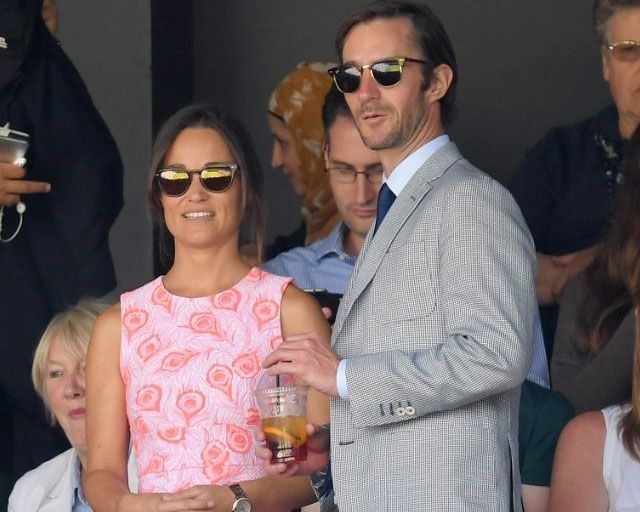 Pippa Middleton is set to marry her hedge fund millionaire boo James Matthews soon and excitement is in the air! The couple announced their engagement in July 2016 to Britain’s Press Association after James proposed in the Lake District, a national park in northwest England. To prepare you for the wedding of the year (because wedding of the century, IMHO, is still Will and Kate’s—sorry!) here’s everything to know about the big day. Congrats, Pip and James! 1. It will be a weekend wedding. Pippa and James will tie the knot Saturday, May 20. It’s far too early to tell, but the weather will be a brisk 61 degrees Fahrenheit with a chance of “spotty showers,” according to AccuWeather. Again, too early to tell with the rain but otherwise sounds pretty accurate for temps in England. 2. They will have a traditional ceremony. 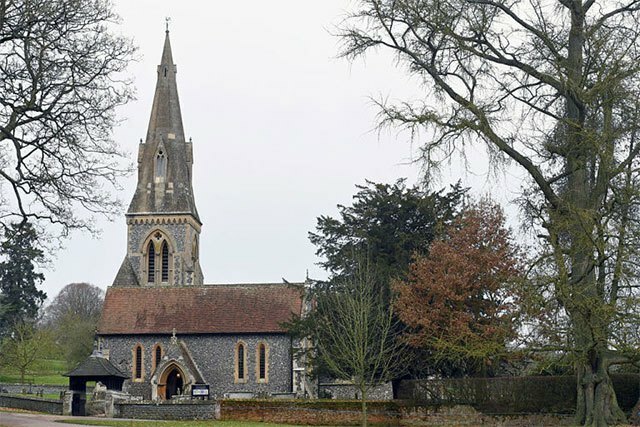 Pippa will walk down the aisle inside St. Mark’s church in Englefield, Berkshire, which is conveniently located 6 miles down the road from where Pippa and Kate grew up. In April, as per the Daily Mail, Pippa and her parents Carole and Michael were spotted visiting the church, perhaps for some final planning. Last December, Pippa, her parents, and James, along with the Duke and Duchess of Cambridge and their children George and Charlotte, attended Christmas service at St. Mark's. 3. There will be an opportunity to jump in a pool. Following the ceremony, a reception will be held at Pippa’s parents’ $8 million Georgian estate called Bucklebury Manor, located in nearby Bucklebury. The estate spans 18 acres and includes stunning gardens, fish ponds, and a pool, in case anyone decides to turn up the wedding party with a cannonball or two. 4. The guest list is snug by royal standards. Depending on your U.K. outlet of choice, Pippa and James are going for a low-key wedding, inviting around 150 guests to the affair, according to the Telegraph. The Daily Mail reports that some 350 to 400 people will be there, so really, no one knows. Kate and William are expected to attend, as is James’s brother, Spencer Matthews, a reality TV star. Spencer, by the way, will serve as James’s best man. 5. Prince Harry’s girlfriend Meghan Markle is also invited. Following rumors that Pippa had settled on a “no ring no bring” policy for her wedding (i.e. only married or engaged couples were allowed in), the Telegraph reports that the bride has made an exception for Harry’s girlfriend. Previous reports had Meghan attending only the reception part of the wedding, but now she gets to go to the whole thing! 6. 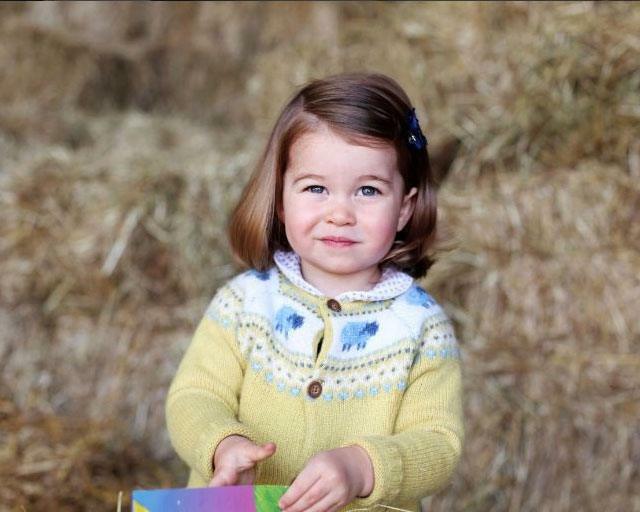 Princess Charlotte will be a bridesmaid. In April, Kensington Palace announced that Charlotte will have a part in the wedding as a bridesmaid. Her brother George, who turns 4 in July, will be a page boy. 7. Pippa’s sister Kate will not be in the wedding party. This is according to Us Weekly, who reported that the Duchess will “likely” do a reading at the ceremony instead of taking on bridesmaid duties. 8. 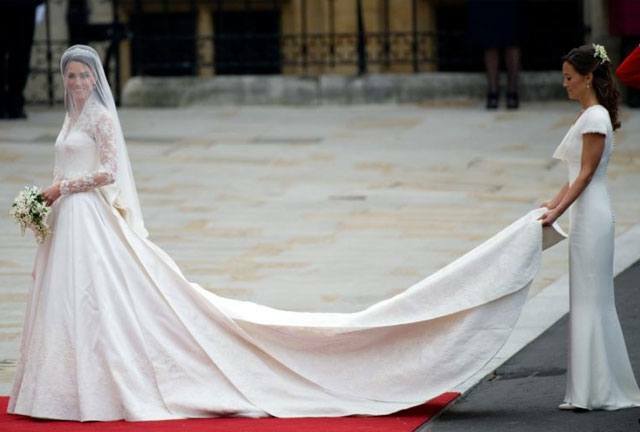 The identity of the bride’s wedding dress designer is still under wraps. Will she pull a Kate Middleton and reveal her designer on the day of the wedding and/or go with Alexander McQueen’s Sarah Burton? It’s anyone’s guess at this point. So let's consider the designers whose names have been in in the mix since Pippa got engaged last year: Giles Deacon, a British designer who was spotted visiting with Pippa and her mom with big dress bags; Amanda Wakeley, Prime Minister Theresa May’s go-to designer; Elie Saab, a favorite of Pippa’s; Suzanne Neville, whose showroom is close to Pippa and James’s West London home; and Jenny Packman, sister Kate’s favorite (courtesy of the Telegraph). 9. Her veil will cost as much as one month’s rent in New York City. Stephen Jones, milliner to the stars, has long been rumored to be the one behind Pippa’s veil. According to Bridebook, the veil will cost 2,000 British pounds, which is about $2,500. 10. The reception toilets will be fancy. Again, according to Bridebook, this means guests will get to use “luxurious bathrooms with gorgeous soaps and fresh linen hand towels.” Nice. 11. The cost of the wedding itself is approximately 15 times the national average in England. Bridebook’s handy report, based on an analysis of 170,000 weddings and consultation with wedding industry suppliers, estimates Pippa and James’s wedding bill to be 246,949 British pounds, or $319,536. 12. Pippa will likely wear her engagement ring well after the wedding. Days after her engagement announcement, Us Weekly and other outlets reported that the Art Deco-inspired ring appeared to be a 5-carat stunner and that the design—an Asher-cut center diamond set in a platinum bezel setting surrounded by white diamonds—suggests long-term wearability. Us Weekly’s source, jewelry expert Michael O’Connor, estimated the ring’s value to be $120,000. Meanwhile, the makers of the bride and groom’s wedding bands remain a secret. 13. Pippa’s bachelorette party already happened and it sounded like loads of fun. In April, Kate joined the bride-to-be and her friends at a luxury chateau atop the slopes of Meribel in the French Alps. According to People, the group was well taken care of by a maid and a chef after a day of skiing.